1.1.2. Please do not forget to register your seneye slide to get NH3 and pH readings! Click here to learn how. 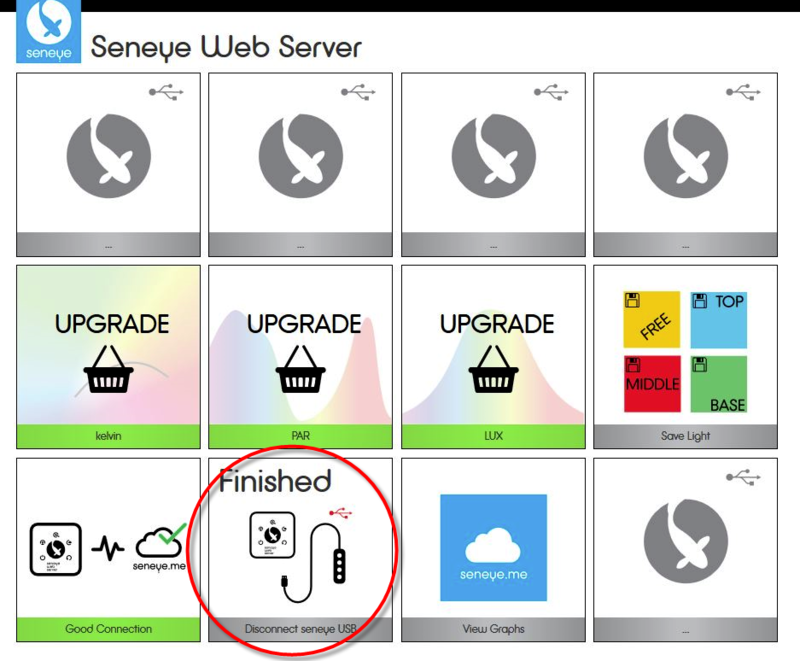 Thank you for purchasing a seneye web server (SWS). Please read the following instructions carefully in order get your SWS working. DO NOT CONNECT TO THE WI-FI ADAPTOR UTILL INSTRUCTED. If you already have a seneye account please proceed to stage 2. If you a new user please register an account at www.seneye.me. You will need to use the E-mail address that you want your alerts sent too. Once you have registered, please ignore any details on the Welcome E-mail that mentions downloading the seneye connect application. 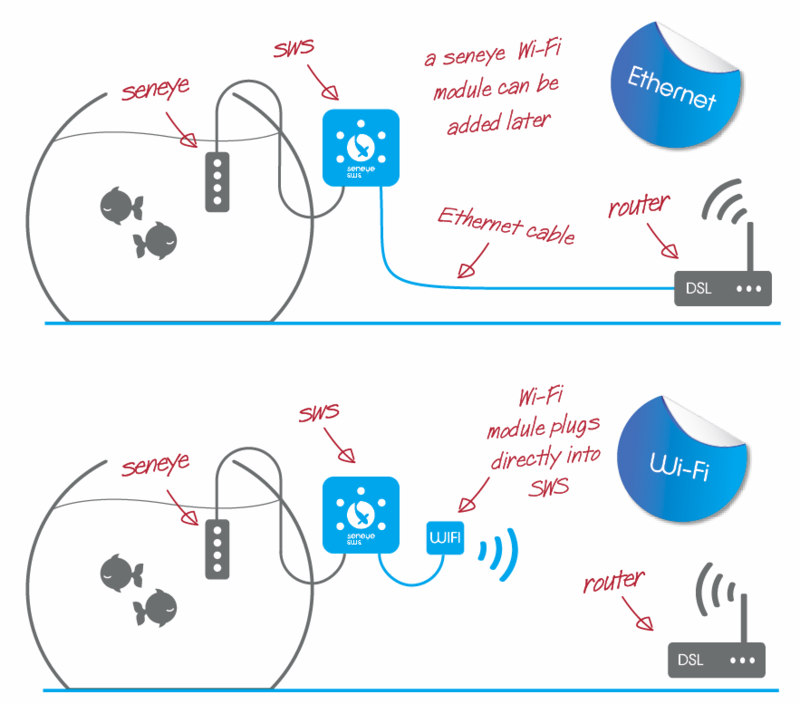 Seneye connect software is not needed because everything will be done using your SWS. Once your registration is complete, please continue through these instructions. Please go to the following link to register your SWS to your account. If you have a BT Home Hub and BT internet then you may need to configure your Home Hub and Parental controll settings to allow the SWS to upload. An overview of the lights and connections on the SWS can be seen below. You will need to reference these later in the setup. In order to connect the SWS to your LAN, the following ports need connecting in the order described below. At this stage it is very important not to connect your seneye device to the SWS. 1. Connect the Ethernet cable supplied directly to your router. 2. Connect the Ethernet cable to your SWS (purple port). 1. Plug the USB power adaptor (supplied) into the mains. 2. Connect the micro USB cable (supplied) into USB power supply. 3. Connect the micro USB cable into the Micro USB port (black port). If a firmware update for the SWS is available then it will start to download it automatically. The following light sequence will be shown. Once downloaded it will show this light sequence while updating. Please make sure that power and ethernet cables are kept connected during this period. After an update it will return to the status shown in the image shown at the top of this section. Once a potential firmware update is complete, the lights shown below should illuminate. The 'power' and 'network connection' light should remain constantly illuminated. You can view direct data from your SWS by using PC, tablet or mobile phone that is connected to same Local Area Network (LAN) as the SWS. We would recomend doing this using FireFox as a browser, this renders the GUI of the SWS best. The SWS GUI can only be viewed on the LAN. If you are not on the network, the GUI will not be accessible. To find your SWS GUI please open up a browser on a device that is on your LAN. The following address needs to be entered the URL bar at the top of the browser. The URL is unique so your SWS and the part that is marked with **** on the address below needs to be replaced with the ID code that was on the label on the front of your SWS. Once you have found the SWS, you will find a page like that below. The page is dynamic and you can move the tiles. It will also resize to any device screen size. Your SWS is now working. Don't forget to bookmark the page on your browser to access it easily. You must connect the SUD directly to the SWS and not use any form of extenstion leads as the SUD will not communicate correctly. If you have purchased your SUD with a complete pack with the SWS then it will already be updated to the latest firmware. You will be able to tell if the SUD is already updated because it will show as connected on the SWS GUI. Once the SWS has detected that the firmware is out of date, it will put the SUD in boot load mode. You can tell that this has been completed because the 'seneye device connect light' on the SWS will be flashing. Please disconnect and re-connect the SUD from the SWS. The tile that is circled below will indicate that the firmware is downloading. The lights on the SWS will flash in a circle to indicated this. Once the tile above is shows, and the lights have stopped circling, disconnect the SUD from the SWS and reconnect it to complete the update. Please do not forget to register your seneye slide to get NH3 and pH readings! Click here to learn how. Now that your SWS is registered to your account and your SUD is connected, you can set up any adaptors that you are using for the connection. If your SWS came with a WiFi adaptor module, please refer to the instructions in the link below as to how to set this up (we recomend setting the WiFi plug up as a Wifi adaptor/WiFi Bridge). The Edimax instructions are here. You may also find a the following links usefull to get the most from your new seneye device.